Transaction is the place where you can view all the sales record between you and your buyer. You can view the detail transaction and make search to any transaction. Under the Transaction menu, there are 2 submenu. You can filter the transaction accordingly. 1. The Dashboard will record all transaction including the FAILED transaction for your reference. To view the detail transaction, simply click on the name of your buyer. You will see a detail information of the transaction. 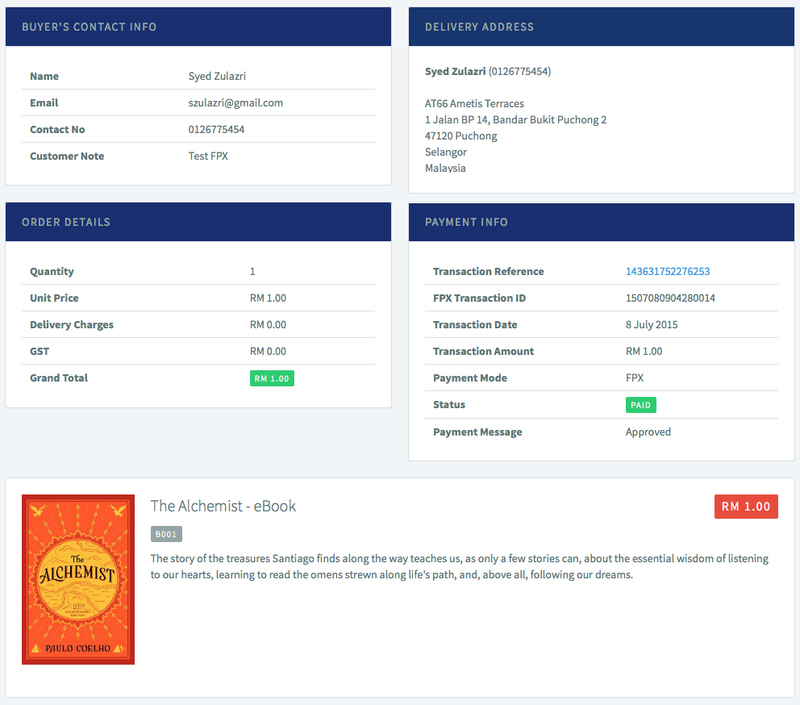 You can view the sales receipt by clicking on the transaction reference. A new window will pop up the transaction receipt. 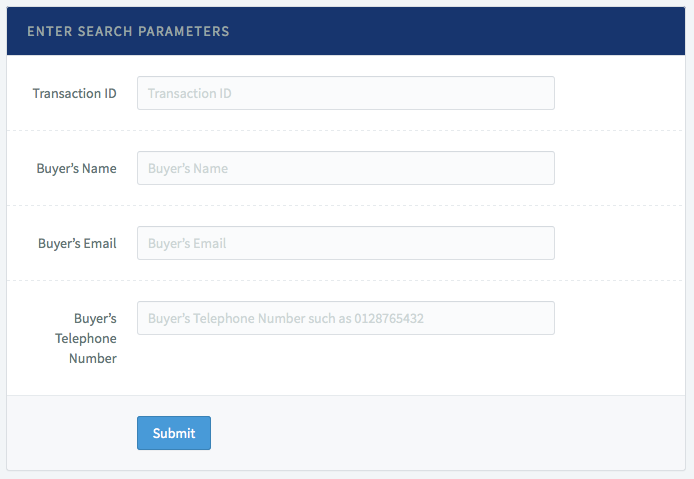 You can search any transaction that has been made by your buyer. Simply key in the details that you want and click “Submit” button. A list of transaction will displayed as a result. Click on the buyer’s name to view the details. 1. You can search the same buyer by inserting the same email address. 2. Why is my client’s payment sometimes FAILED?